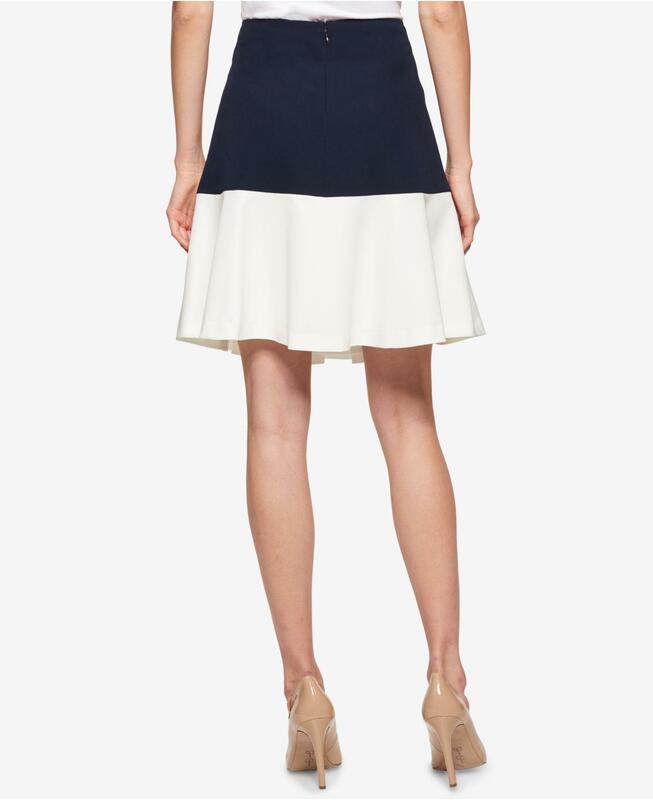 Tommy Hilfiger's short swing skirt is stylish with a colorblocked design making it a cooler career essential. Approx. Model height is 5'10" and she is wearing size 4. Short length; approx. 22" long. Hidden back zipper with hook-and-eye closure. Colorblocked design. Shell: polyester/rayon/spandex; lining: polyester/spandex. Dry clean.